How do we license SQL Server as a Lync Backend Solution correctly. This is not an very easy question. But first in general the common SQL licensing applies. This is mainly regarding if you license as per CPU or Server. This question will mainly not have an impact regarding Lync based licensing. This solution do not provide an HA feature, either the Server, nor the database. This provides only HA for the Server themselves, but the Database is not protected. Well some solution exists, where the storage is in a mirrored relationship and there provide database HA in another tier. But a storage mirror do not protect your database against an logical database issues, since the database it a clone only. Finally the recommend solution from Microsoft for maximum HA, both the Server as well as the database is protected. The database itself it part of the mirror, which means, the server a replication via log shipping an independent transaction to its mirror, where this server logically replay this into the database. 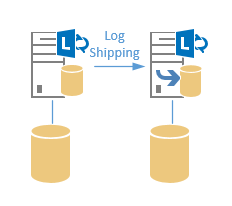 Only if both transactions a successfully committed, the SQL Server will send an acknowledge to its sender. Since we have discussed the possible Lync Enterprise SQL configurations, now we need to have a look into the licensing. Licensing is seperated into Server and CAL. First the CAL, a CAL is segregated into User Connection or Device Connection. 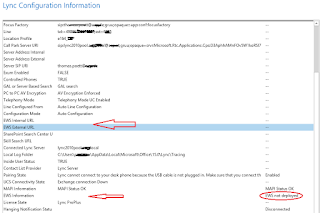 Therefor in Lync user do not directly conntect to SQL server. The entire access is indriect, so via the Lync server or Lync client. Also indirect SQL server access requires a CAL. But there is another possibility, if you license the SQL server based on CPU CORES, you do NOT need CALs. Now we see what is required. Keep in mind, that it doesn't matter if we now count either sever or core based, but if it is core base you have to muliply the server count by core. E.g. you need 2 server licenses and have 2 core, in total you need 4 SQL licenses which are core based. You only need 1x SQL Server license for the left server, the mirrored instance is FREE of charge. You need 1x SQL Server license each, this means 2x SQL Server license in sum. Now we sitll have a question regarding other instances we could use, e.g. Monitoring or even Archiving, maybe pChat. All this SQL databases can be hosted by another SQL INSTANCE, therefor exactly the same principles apply. So if you use another SQL Instance you need additional SQL Server license as per description above. In smaller installation you can minimize the number of SQL Server license, if you deploy all databases into a single instance and use a dedicated Lync mirror SQL server free of charge. But remember you need to carefully plan your SQL Server perfomance if you deploy all databases. For each properly licensed instance of SQL Server, customers can run a supporting passive instance in a separate OSE for temporary support—that is, to synchronize with the primary server and otherwise maintain the passive database instance in a warm standby state in order to minimize downtime due to hardware or software failure. A passive SQL Server instance is one that is not serving SQL Server data to clients or running active SQL Server workloads. This passive failover instance can run on a server other than the licensed server. The secondary server used for failover support does not need to be separately licensed for SQL Server as long as it is truly passive. If it is serving data, such as reports to clients running active SQL Server workloads, or performing any “work” such as additional backups being made from secondary servers, then it must be licensed for SQL Server. Primary server licenses include support for one secondary server only, and any additional secondary servers must be licensed for SQL Server. Is Lync 2013 compatible with SQL Server 2014?